This story was produced by the Missoula Independent as part of The Montana Gap project, in partnership with the Solutions Journalism Network. As a child, Presandieu Charles suffered severe headaches and stomach pains. One day he beat his mother on the foot and thigh with a stick, and later cried when he saw what he had done. In October 2017, Charles began to hammer at the timber walls of his family’s dirt-floored home with his fists. He would not stop. Neighbors bound his ankles and wrists with leather straps and metal chains. They called his affliction “the madness.” He still has the scars: dark star-shaped marks on the skin on his right wrist. The house perches on the edge of a lush, forested ridge several miles outside Cange, a remote Haitian village near the Dominican border. Inside it is cool, and slivers of light stream through the white lace curtain hanging in the front door frame. Charles’ shoulders droop as he sits on a bed dressed with Pokémon sheets. The 24-year-old wears an Adidas T-shirt and plastic Nike sandals. Beside him is Joseph Benissois, a local community health worker with the Boston-based global health nonprofit Partners In Health (known in Haitian Creole as “Zanmi Lasante”). The two exchange no small talk, and Benissois begins to ask Charles questions from a clipboard in his lap. Charles doesn’t often smile as Benissois asks them. When he does, though, it’s a sweet, knowing flash of pride at the progress his answers reveal. Joseph Benissois, right, queries Presandieu Charles on his mental state during a home visit in June. Does he cry? Not as often as he used to. Does he have difficulty sleeping? No, but he feels weak when he wakes, and he has trouble going to the garden or fetching water. That might be the drugs he is taking. Does he feel bad or uncomfortable with himself? In the past he felt bad. Now he tells jokes to the friends he sees on the street, smiles and laughs with them. In the past 15 days, has he wanted to die? “He used to say to himself that it’s better if he died, but not now,” an interpreter relays. Partners In Health, which was founded just down the road in Cange by renowned physician and humanitarian Paul Farmer, has been recruiting and training individuals like Benissois since the late 1980s and placing them on the frontlines of the organization’s efforts to combat cholera, HIV and other major health threats. But the 2010 earthquake that devastated this rugged Caribbean nation — killing an estimated 220,000 people, injuring more than 300,000 more and leaving some 1.5 million homeless — brought to the forefront another widespread Haitian health risk: This country of more than 10 million people had only 10 psychiatrists. The loss of homes, jobs and loved ones in the quake triggered a rash of depression that Haiti’s few specialists, already struggling to treat a host of other mental health issues, were ill-equipped to handle. In the central plateau, Partners In Health tasked its community health workers (CHWs) to help fill the gap in mental health coverage. 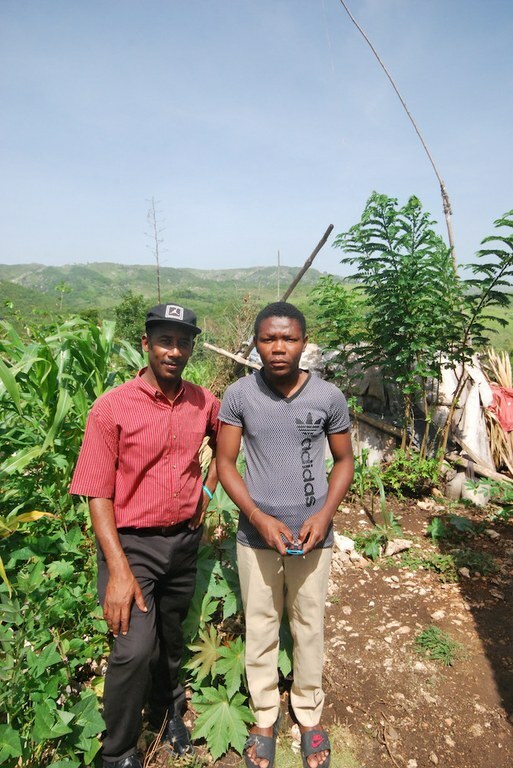 Presandieu Charles, right, stands outside his home near Cange, Haiti, with community health worker Joseph Benissois. The questions Benissois asks Charles come from a depression symptom inventory developed by the nonprofit. They’re identical to those asked by its 58 other mental health-focused CHWs. Since April 1987, Benissois has worked with the organization as a CHW (or “accompagnateur” in Creole), a non-specialist position designed to provide patient check-ups and administer basic health care in small, remote communities. The model traces its roots back to the mid-1950s and China’s so-called barefoot doctors: farmers and other villagers who received short-term medical training to meet immediate needs in isolated towns. Gradually embraced and refined by the global health community over subsequent decades, the model is now a vital component of health care strategies in scores of developing nations, and is being increasingly implemented in the United States. In fact, after five years of coordinated development by various stakeholders, Montana recently rolled out a CHW training curriculum of its own to support statewide implementation of a model that the Montana Office of Rural Health/Area Health Education Council says is proven to increase health care access, reduce costs and improve responsiveness to patient needs. That the timing of that roll-out coincides with state budget cuts and widespread layoffs among community-based health care service providers is entirely coincidental. Benissois visits Charles once a month. While Charles keeps regular appointments with Partners In Health physician Reginald Fils Aime in Cange, and is currently taking antipsychotic medications, the at-home check-ups with a trusted neighbor free him from having to make extra trips — a mile walk each way — to the clinic. When asked what the veteran CHW has done to help him, Charles wraps an arm around Benissois and beams. That Montana, an isolated, largely rural state nearly 3,000 miles from Haiti and, geographically, nearly 14 times the size, has recently embraced the CHW model in the face of its own health care challenges makes the organization’s decades of work a compelling case study. 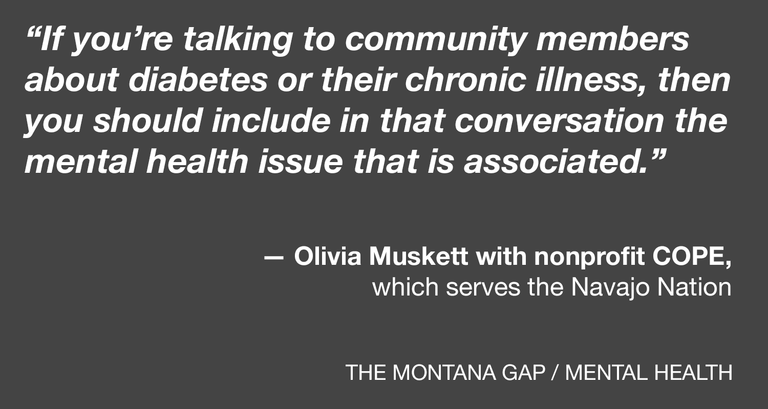 Though culturally distinct, the two areas share many commonalities: remote populations, impoverished communities and, particularly in the wake of last year’s cuts to Montana’s mental health budget, a pressing need for local solutions. And if the benefit that Benissois delivers to Charles is any indication, CHWs could become a valuable asset for Montanans as well. In a cramped office upstairs, Père Eddy Eustache, director of mental health, speaks in crisp, undulating English about why his organization opted to address the needs of this mountainous region with community health workers in the first place. The Hôpital Universitaire de Mirebalais in Haiti was erected after the 2010 earthquake to deliver health care throughout the country’s central plateau. Similarly, in a June 2016 report on health care innovation and reform, Montana Gov. Steve Bullock’s administration cited CHWs’ double roles as frontline care providers and community liaisons as a compelling reason for embracing the CHW model. 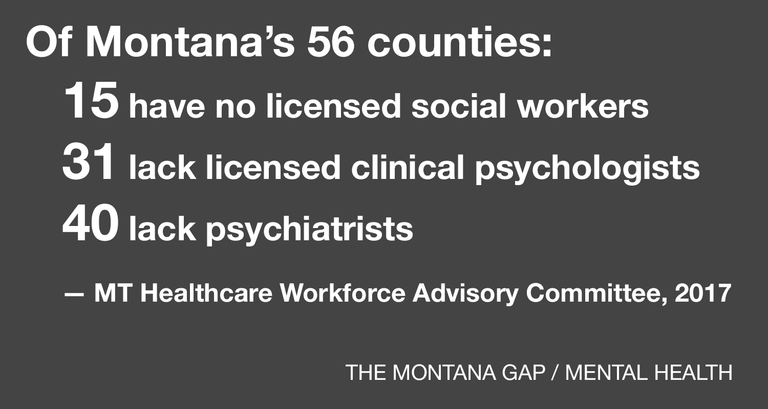 According to the Montana Healthcare Workforce Advisory Committee, 15 of the state’s 56 counties contained no licensed social workers in 2017. Thirty-one counties lacked licensed clinical psychologists, and 40 lacked psychiatrists. And with recent mass layoffs of other frontline health care workers after last year’s budget cuts, the need for community-based aid and advocacy has only grown. CHWs have been implemented by various nonprofit providers throughout the state for years. Researchers often refer to the practice of transferring non-specialist duties to lightly trained community members as “task-sharing,” an approach that increases accessibility for patients while decreasing reliance on faraway specialists and urgent-care centers. However, unlike states with robust government-supported CHW programs, including Oregon, Minnesota and New Mexico, official sanctioning via certification or training hasn’t come to Montana. Until now. This June, five state-affiliated area health education centers launched Montana’s first-ever online training course for community health workers. Developed over a two-year period with the help of a $140,772 grant from the Montana Healthcare Foundation, the new standardized curriculum is open to anyone with a high school diploma and designed to prepare individuals for engagement in “various activities including outreach, community education, informal counseling, social support and advocacy depending on the needs of the employing facility/organization.” Kris Juliar, director of the Montana Office of Rural Health & Area Health Education Center in Bozeman, says Montana CHWs will operate as component parts of broader health-care teams. While she anticipates growing interest in the position, Juliar cautions that it may take some time to see CHWs in action in Montana. Mental health is not a primary focus of the training yet, but Juliar says that MHN is already developing additional training material for CHWs tailored to that need. With a fledgling CHW presence now in the offing here, Partners In Health’s work in Haiti offers a window into a possible future of health care in Montana. Partners In Health has gradually grown its cadre of mental health-focused CHWs from 28 to 59, serving an area that encompasses the country’s central plateau and neighboring lower Artibonite region. Drawing on a new round of donations, the organization is currently in the process of raising that number to 81. ZL/PIH’s community health workers receive one week of in-person training — about half the length of the 85-hour online course in Montana — covering the basics of physical health, ethics, communication skills, sanitation and detection of infectious diseases. CHW candidates focusing primarily on mental health are also trained in depression screening and how to deal with patients displaying psychosis, agitation, epilepsy and suicidal ideation. They do not diagnose, but are able to refer patients to more specialized care if needed. ZL/PIH’s mental health director, Père Eddy Eustache, does not see CHWs as representatives of the organization, despite the financial incentives they receive. Instead, he says, people like Joseph Benissois are advocates for their own communities, people who must be above political and moral suspicion, not only trusted by patients, but able to spur local community leaders, religious leaders and traditional healers to bring about change in public attitudes toward mental health. 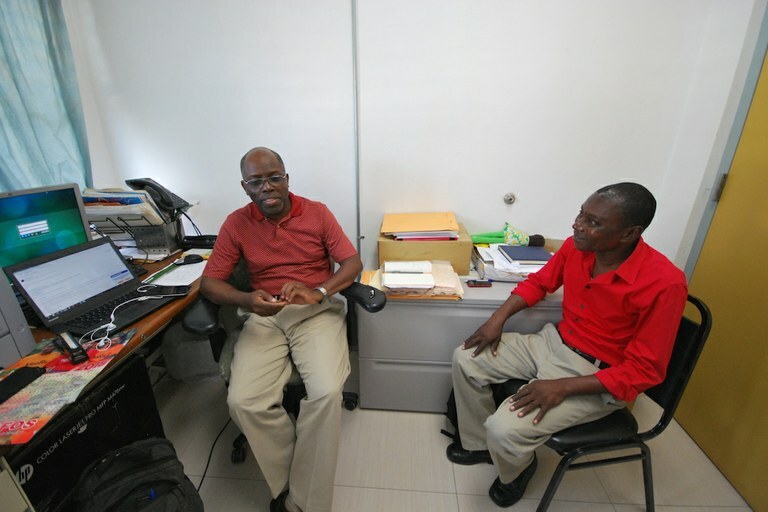 Père Eddy Eustache, left, mental health director for Partners In Health in Haiti, discusses the benefits that community health workers have brought to the region’s remote residents. For Montana, the obvious question becomes one of efficacy. A 2007 policy report by the World Health Organization warned that the failure of numerous CHW programs worldwide due to poor planning and underestimation of the effort required to execute them has “unnecessarily undermined and damaged the credibility of the CHW concept.” The effectiveness of CHWs across the globe has been the subject of considerable research in recent decades. 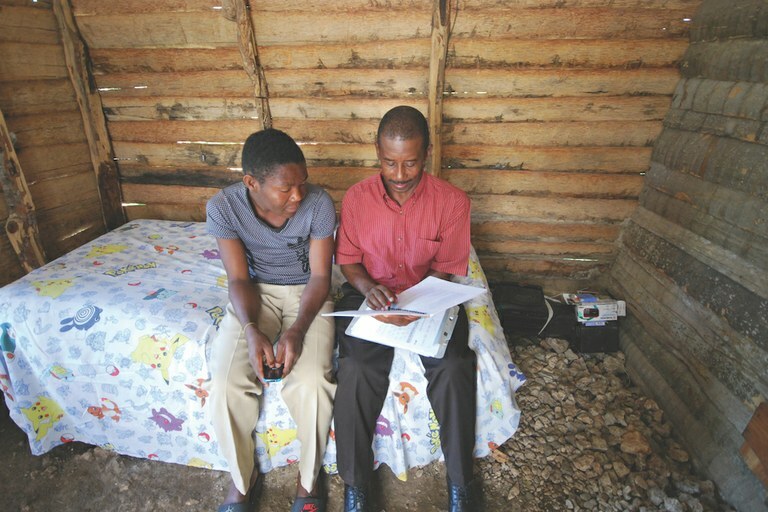 Those studies have focused on CHW work on a variety of health conditions — tuberculosis, HIV, diabetes — as well as their integration into more robust health teams made up of various specialists and lay caregivers. One such study, conducted in Zaire, found that over a two-year period in the late 1990s, 65 percent of malaria cases in 12 villages were treated by CHWs and documented a 50 percent decrease in morbidity compared to a control area with a single health center with no CHWs. Many of these studies have been conducted at project sites in poverty-stricken countries, and among the most commonly cited deficiencies in the body of CHW research is the need for greater focus on the longer-term results of CHW application. Research on CHW programs in the United States is even less robust. A 2007 Community Health Worker National Workforce Study compiled by the U.S. Department of Health and Human Services estimated there were 121,206 CHWs employed nationwide — a 41 percent increase over 2000. However, the study, the only one of its kind the agency has published to date, offered the caveat that there is “no statistical evidence, of the size and direction of change in the community health worker workforce.” Published papers indicate that wider use of CHWs holds promise for increased access to and use of health care. A 2016 study in the Journal of General Internal Medicine found that in most cases involving chronic conditions like diabetes, asthma and hypertension, CHW interventions drove down patient costs and reduced hospitalizations and urgent care visits. On the mental health front in particular, a 2018 review of literature by several California-based researchers found that CHWs could, domestically, be mobilized to serve as primary providers of evidence-based treatments in areas with “severe workforce shortages,” and even be involved in the delivery of those treatments in more resource-rich settings. “CHW-delivered prevention and early intervention services would allow trained mental health professionals to focus their expertise on individuals who require more intensive services,” the study continued, though the authors cautioned that additional research is needed to understand how to sustain CHW-centric efforts. In Montana, the project launched in 2015 has repeatedly cited the potential for CHWs to engage in community education and outreach, informal counseling and the linking of medical and social services as reasons to not only develop a standardized training curriculum, but to establish mechanisms for data collection and continued discussion among various individuals, organizations and state agencies. And based on six years of fieldwork and research in Haiti’s central plateau, Bonnie Kaiser, a postdoctoral fellow at the Duke Global Health Institute, agrees that community health workers like those employed by ZL/PIH could similarly benefit rural Montana when it comes to mental health access and treatment. Two months ago, the boys played like children do, clambering around a ruined building just down the lush green hillside from their home. Now their mom, Moslene, cooks only for her husband, a mechanical act that brings her no joy. Only sadness and a remembrance of the innocent laughter she will never hear again. Her boys — her only children — are dead. A wall of that ruined building fell on them, killing them instantly. Moslene’s house, a one-story, two-room concrete structure with a wrap-around porch and faded blue and white paint, is noiseless in the muggy morning heat. Her husband is down in the garden. He’s always in the garden. Not long ago, he spoke of drinking poison. Moslene sits sideways on a high-backed chair beneath the fruit trees in her small dirt yard, her shoulder pressed against the dark wood, legs drawn up and crossed at the ankles. She wipes at her tears with the hem of her shirt and speaks in short snatches of Haitian Creole, just a few words at a time. Joseph Benissois, the community health worker with Zanmi Lasante/Partners In Health, does not touch or console her. He does not smile. He asks her questions from a list on a clipboard in his lap, his voice a deep, uninflected baritone. Does she have difficulty sleeping? The suffering is not as bad at night. But sometimes she dreams. “She sees them in her dreams, playing, playing, and she knows this is not right,” our translator relays. 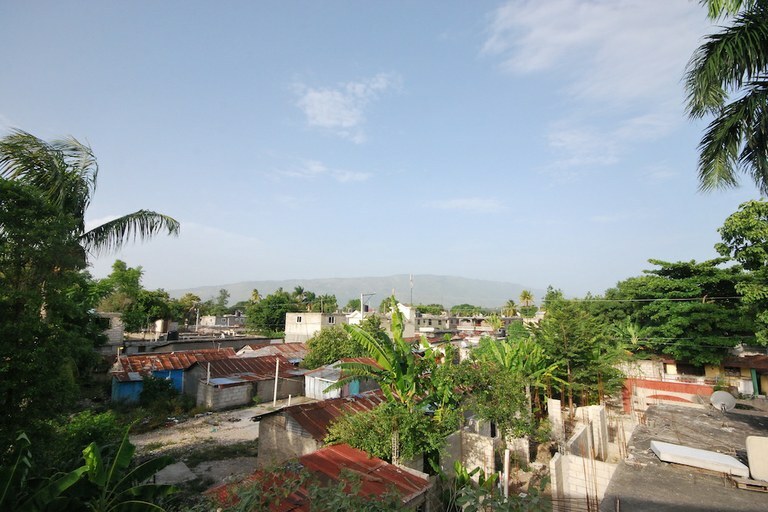 The city of Mirebalais is home to the Haitian headquarters of Partners In Health, a nonprofit which operates a network of community health workers in the surrounding region. Benissois has been checking up on Moslene and her husband every two weeks since their sons, 8 and 10, died. Benissois has already referred her to a psychiatrist at the ZL/PIH clinic in Cange. She has an appointment in six days, her second since the accident. When he’s finished with the questions, Benissois reviews relaxation methods with Moslene, shaking his arms, massaging his thighs with his palms, inhaling through his nose and exhaling through his mouth. Moslene listens but does not participate. As Benissois rises to leave, she gathers up chairs, then retreats through a side door into her darkened home. Benissois’ work with Presandieu Charles, Moslene and others in the Cange area is a prime example of how CHWs can serve to redistribute the pressure normally placed on health care specialists and the places they work. Yes, Charles receives treatment from Dr. Fils Aime. But his gradual recovery within his village is largely left to Benissois to monitor. 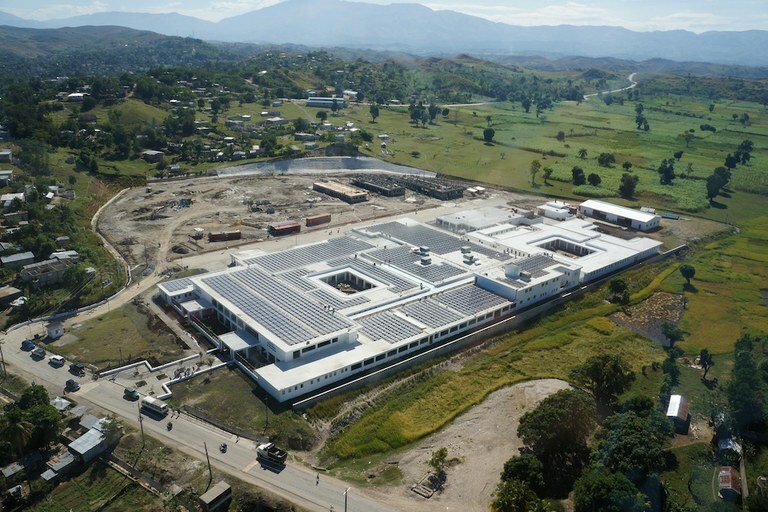 Adding CHWs to Haiti’s health care equation has proven promising enough that ZL/PIH has exported the model to project sites in Rwanda, Malawi, Sierra Leone and Chiapas, Mexico. Père Eddy Eustache, ZL/PIH’s mental-health director in Mirebalais, notes that there’s “huge enthusiasm” across the globe today about the work being done by CHWs. However, he cautions that such programs need to be community-driven, and that CHWs’ first loyalty must be to their communities. On the Navajo Nation, they’re known as community health representatives. Isolation is as big a hurdle here as anywhere in the Western United States, with tribal members scattered across 27,000 square miles of New Mexico, Arizona and Utah. When the program launched with the help of federal funding in 1968, the vision was essentially identical to that in Haiti and elsewhere: Train and task trusted locals to staff health care’s frontlines. Now the Navajo program operates with a $6.5 million annual budget and employs more than 70 community workers. In 2009, the Navajo Nation partnered with several organizations including Partners In Health to form the nonprofit Community Outreach & Patient Empowerment (COPE). A community health rep’s duties can range from taking vital signs and helping people get follow-up appointments with specialists to assessing home weatherization and educating people about outbreaks like West Nile virus. “You’ll have one CHR that might be overseeing a community that has about 200 community members (and) one CHR overseeing a community that has close to 4,000 individuals,” says COPE Community Outreach Manager Olivia Muskett. But if the Navajo Nation’s CHR program offers Montana a glimpse of anything, it’s what 50 years of evolution can lead to. Since the early 1990s, the program has required that CHR applicants possess a Certified Nursing Assistant Certificate, a qualification that takes, on average, four to eight weeks to acquire and is beyond what Montana’s new training currently requires. Muskett says the requirement is a reflection of how integrated CHRs have become in the Navajo Nation’s health care system. COPE has also in recent years begun organizing monthly trainings and case-management meetings to strengthen relationships between CHRs and hospital-based providers. Monument Valley in Utah, on the Navajo Nation. Despite the decades, CHR training on the Navajo Nation has only recently started to tackle mental health issues head-on. All CHRs were sent through a mental health first-aid course a couple of years ago, Muskett says, in response to increased rates of suicide in several of the places they serve. A few have been specifically assigned to mental health teams, but PIH and the tribal health department are still discussing how to better incorporate mental health into community health work, including adding lessons about cognitive behavioral therapy. According to a 2015 policy report by the University of Arizona, only 31 percent of CHR programs on Indian reservations in the U.S. reported focusing on behavioral or mental health, though 60 percent of those programs stated that their CHRs could benefit from formal training in substance abuse, behavioral health and lifestyle coaching. 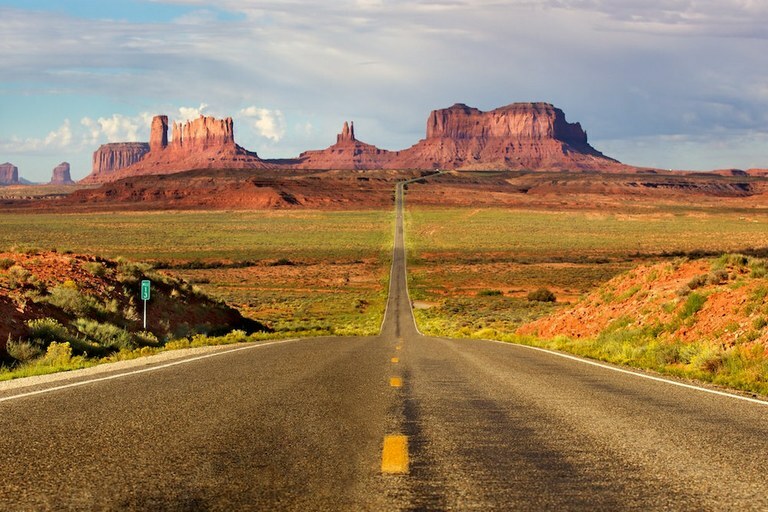 As with research elsewhere, studies on the Navajo Nation frequently cite familiarity with local values, beliefs and social dynamics — and the consequent ability to build patient trust — as among a CHR’s strongest assets. Like Benissois in Haiti, community-based health workers the world over know all too well the social, financial and geographic challenges that those suffering from mental health issues face. As Eustache says, CHRs are “sharing the daily life of the people.” It’s no different in Montana. Take this story, from a June 2017 PBS NewsHour segment on a team-based health care pilot project run by Mountain-Pacific Quality Health in Kalispell, Montana: Following a disabling motorcycle accident, Flathead Valley resident David Dixon had been grappling with chronic pain, nausea and episodes of depression for years. His visits to the emergency room were frequent — as many as 42 visits in 14 months. The pilot team, including community health worker Jane Emmert, succeeded in connecting Dixon with a pain specialist, and with tele-pharmacy services to sort out his various medications. Requests to MPQH for more information went unanswered, but Kris Juliar with the Montana Office of Rural Health says the outcomes she’s seen from the project show substantial health care savings and decreased reliance on urgent care facilities. Back in Haiti, ask Benissois why he does this work and you’ll get a shrug. His mustache will curl up at the corners. He will tell you it is his “pleasure” to help people. Then he will continue along the bustling roadside in silence, as if that’s answer enough. Perhaps, as CHW training begins in Montana, Benissois’ smile and Eustache’s altruism offer some hint at who here will step up to help.